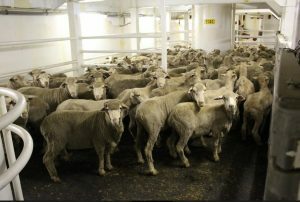 Australian sheep on a previous Al Shuwaikh shipment. AUSTRALIA’S live sheep and cattle trade has been given another boost with the granting of a livestock export licence for the Kuwait-owned Rural Export and Trading WA. But the decision has been condemned by the peak animal rights body Animals Australia, which said it demonstrated why the Department of Agriculture and Water Resources is not fit to regulate the live export trade. RETWA is the wholly-owned subsidiary of majority Kuwaiti Government-owned Kuwait Livestock and Trading Company, which operates in Kuwait as Al Mawashi and has been Australia’s largest sheep buyer. RETWA general manager Mike Gordon confirmed that the Department of Agriculture and Water Resources had granted RETWA a licence for live sheep and cattle exports. The company has arrangements in place for sheep and cattle exports into the Arabian Gulf countries of Kuwait, the United Arab Emirates and Qatar, he said. “In line with KLTT’s long-standing shipping and import supply chains, RETWA’s livestock export licence will be used to supply markets in the Arabian Gulf, primarily Kuwait, Qatar & UAE. “For RETWA the work really starts now,” he said. “We very much understand our obligations in terms of meeting the expectations of the regulator (DAWR), the Federal Minister and most importantly the Australian public. “RETWA, our contractors, suppliers and customers need to fully understand the role and expectations of each and every individual in the export process if we are to have a sustainable future,” Mr Gordon said. Mr Gordon said KLTT’s two AMSA-accredited livestock vessels, the Al Shuwaikh and the Al Messilah, are anchored near Perth and awaiting livestock. “In line with the revised loading requirements announced by DAWR and applicable from November 1, sheep exported will be stocked at least 17.5 per cent below the rate set out in the Australian Standards for the Export of Livestock (ASEL). “The two-to-three week procurement and pre-export process will now commence, with approximately 130,000 sheep to be sourced from WA producers and prepared for export from Fremantle to the Arabian Gulf,” he said. In 2017, KLTT imported 1.28 million Australian sheep, out of the 1.88 million exported live from Australia. However, its 2018 import program was compromised by the suspension and cancellation of licences held by Emanuel Exports and EMS Rural Exports earlier this year. A week ago, Mr Gordon said when licence approval was gained RETWA aimed to send sheep to the Middle East within three weeks. The Al Messilah has had a capacity of up to 75,000 sheep and the Al Shuwaikh has carried up to 80,000 sheep, before new stocking density rules were put in place by the department. Ms White said KLTT has been the powerhouse behind suspended Emanuel Exports for decades. “No other company is responsible for greater shipboard suffering,” she said. Animals Australia said KLTT was the consignee for all five voyages exposed on 60 Minutes this year and along with Emanuel Exports, had responsibility for the animals on board. Since 2004, KLTT has been responsible for nearly half of the shipments from Australia where over 1000 sheep have perished, AA said. Ms White said RETWA’s long history of involvement in mass mortality shipments and ESCAS breaches should have rendered them ineligible for an export licence. “Farmers need to know that RETWA’s licence approval does not represent a changing of the guard. It’s just changing the names on paperwork. “To replace one company suspended for high mortality heat stress shipments with another with a similar rap sheet, is recycling at its worst,” Ms White said. WAFarmers president Tony York said the RETWA licence approval is a positive step forward for the live export trade in Western Australia. “The Western Australian agriculture industry has felt tremendous stress over the past four months due to the sudden halt in live trade, particularly losing the opportunity to service the Islamic religious festivals. “KLTT is one of Australia’s biggest sheep buyers, importing 1.28 million Australian sheep in 2017. WAFarmers is pleased with this outcome and hopes that now RETWA’s export licence has been granted, the live sheep trade can kick into full swing,” Mr York said. “We understand that RETWA aim to send sheep to the Middle East within three weeks, which should inject some confidence back into the industry. “WAFarmers are certain that with the recent changes to conditions of sheep exporting which will see a 17.5 percent lower density rate than the current ASEL standards and the implementation of the McCarthy recommendations, any shipment of animals to the Middle East will be done under the highest welfare standards to ensure the animals wellbeing,” he said. Chair of the WAFarmers export committee Jeff Murray said the industry looked forward to other licenses being granted to enhance competition in the market place. “This gives me some certainty about planning for the 2019 season. “Sheep farmers are not the only ones hurting from the halt in exports, and we are hopeful that the RETWA export licence approval will bring some much needed stability and assurance to farmers, transporters, feedlotters and all involved across the trade,” Mr Murray said. The department recently issued an export advisory notice detailing changes to conditions for the export of sheep by sea to the Middle East from November 1 until the implementation of revised Australian Standards for the Export of Livestock in 2019. This means vessels carrying sheep to the Middle East via the Persian Gulf and Red Sea will 17.5 percent lower than the current ASEL and the agreed heat stress assessment plan recommended in the McCarthy Review. Vessels will also have to have pen air turnover independently verified by a qualified mechanical engineer. independent observers will continue on every sheep voyage, reporting back daily to the department (including footage), to support verification and compliance activities. Livestock exports to Israel and Turkey resumed earlier this month, with Livestock Shipping Services exporting sheep and cattle from Fremantle via the Red Sea. The Maysora discharged at adjacent ports in the Gulf of Aqaba last week and Sheep Central has been told the voyage’s sheep mortality rate was 0.13pc, of more than 20,000 sheep shipped. An industry source said single-digit mortalities occurred among the 10,000 cattle on board. The RETWA announcement came as the industry awaits the delayed release of the Moss Review of the Department of Agriculture and Water Resource’s capabilities, investigative capacity and culture as Australia’s independent regulator for live exports. The review, is now two months overdue, after initially being due on August 24. Agriculture and Water Resources Minister David Littleproud yesterday told the National Farmers Federation Congress that it would be released in coming weeks, but shadow minister for agriculture Joel Fitzgibbon said this was unacceptable. “Littleproud’s comments made at the National Farmers’ Federation Congress indicate a failure of the Morrison Government to show true leadership in the agriculture sector. 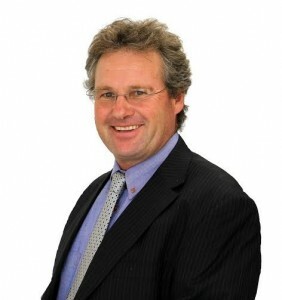 “The minister has been sitting on the report – he should release it today,” Mr Fitzgibbon said.